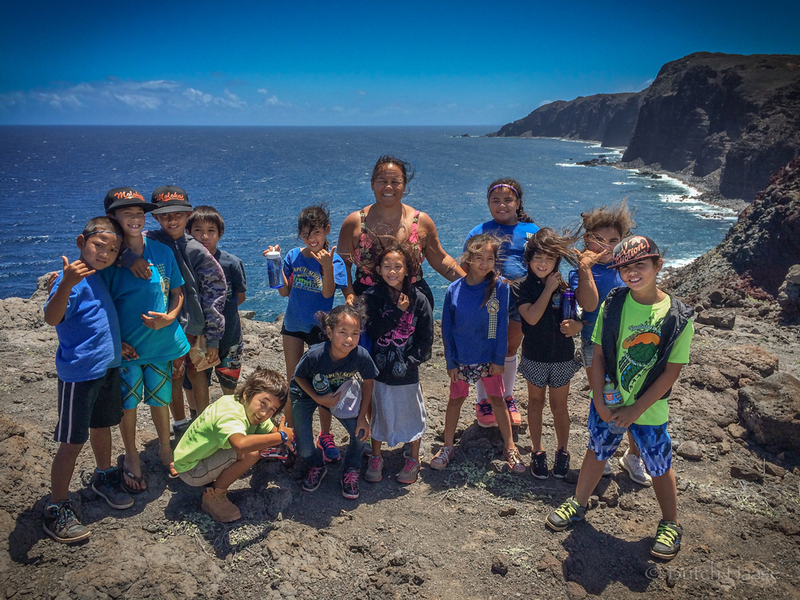 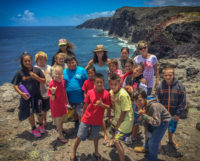 The Moloka’i Land Trust works with public and private schools on island by providing STEM related service learning opportunities. 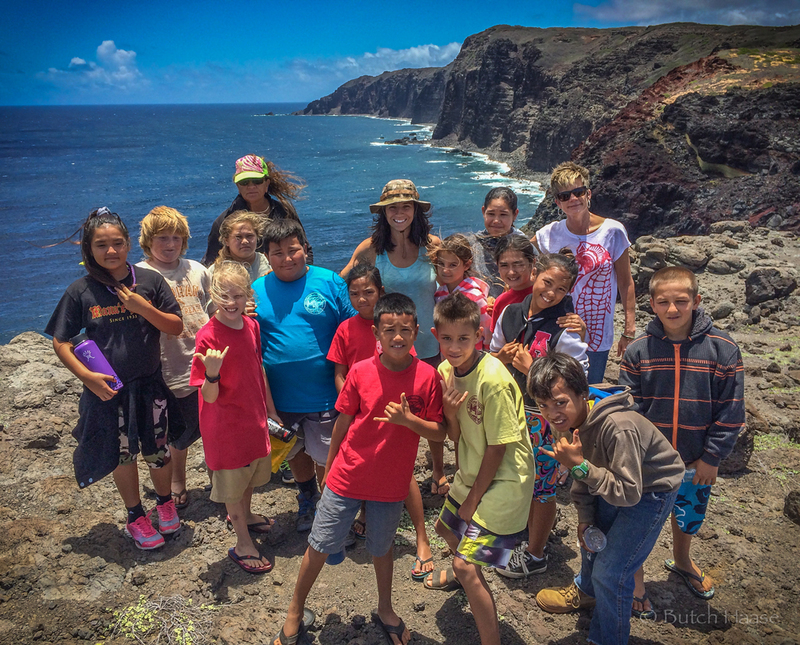 Every school on island participates in this popular program each year. 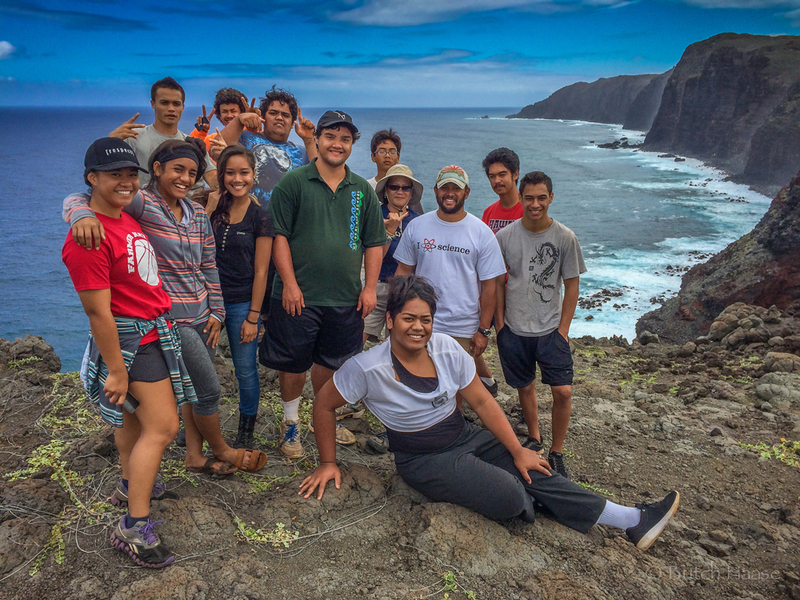 Moloka’i Land Trust also provides a minimum of four (4) internship opportunities per year through AmeriCorps. 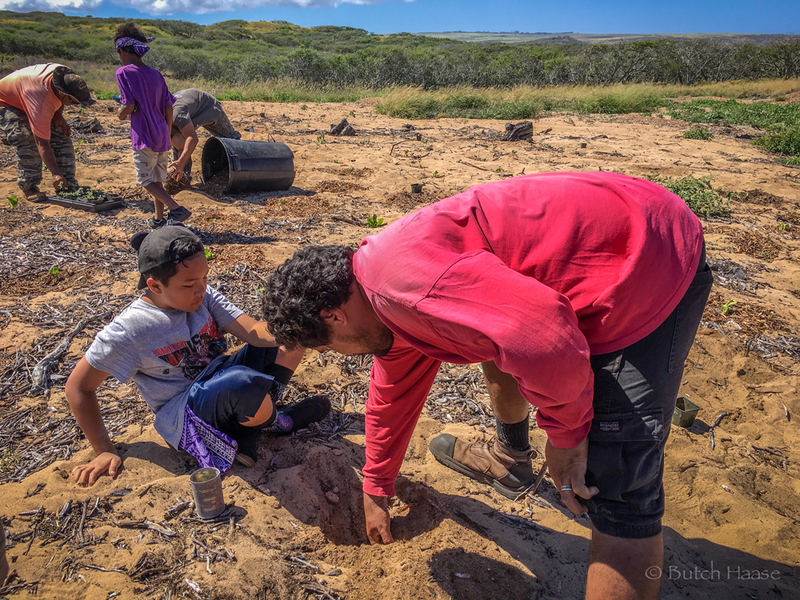 Our internship program is Molokai’s primary source of conservation internships via AmeriCorps, which began back in 2009. 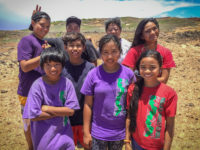 The internship program has been a critical training program that prepares young people to gain the necessary skills and experience for future employment consideration. 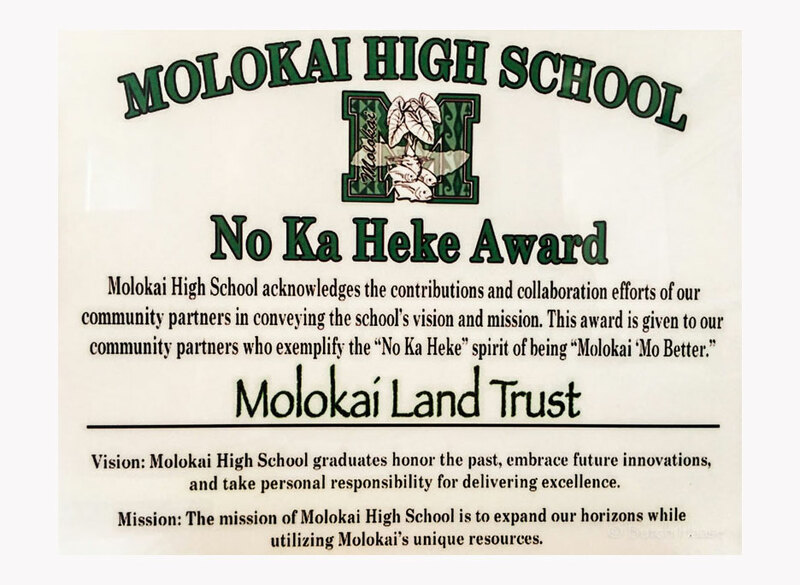 It also has been a driving force behind youth pursuing a higher education in STEM. 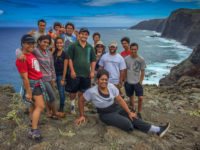 The ultimate goal is to have Moloka’i Land Trust internship participants, upon returning home from achieving their educational goals, work with Moloka’i Land Trust . 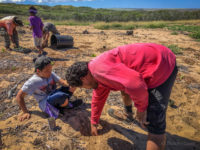 The Moloka’i Land Trust internship program is designed to provide for a minimum of four (4) year-round AmeriCorps internships for Molokai youth/students who are interested in Natural Resource Management, Conservation, Restoration Ecology, and/or any other related field. 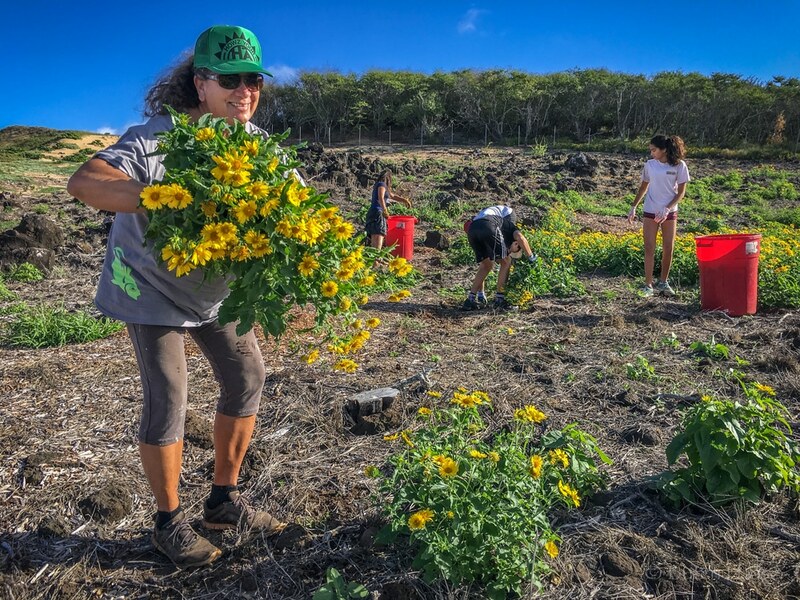 These internship positions will be mentored by Moloka’i Land Trust staff and focus on environmental restoration activities on Moloka’i Land Trust’s properties, including Moloka’i Land Trust ’s contracted lands (i.e. 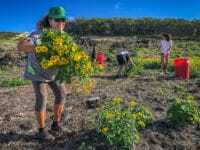 Nature Conservancy Lands). 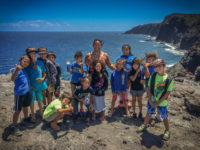 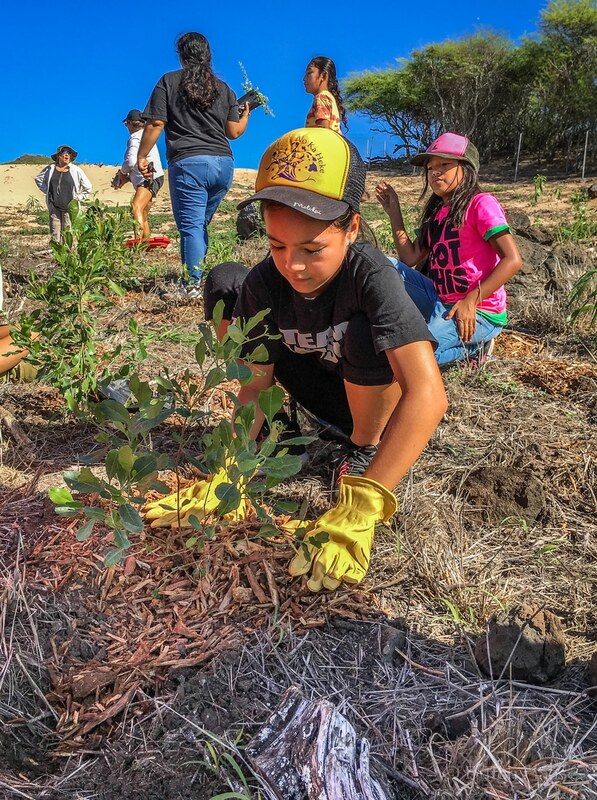 Interns will assist in supporting our school service-learning program and interact with program partners such as: The Nature Conservancy, Molokai Invasive Species Committee, and East Molokai Watershed Partnership. 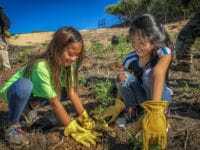 The requested funds will cover paid internship positions that provide a living stipend and continuing education awards, while providing critical work experience. 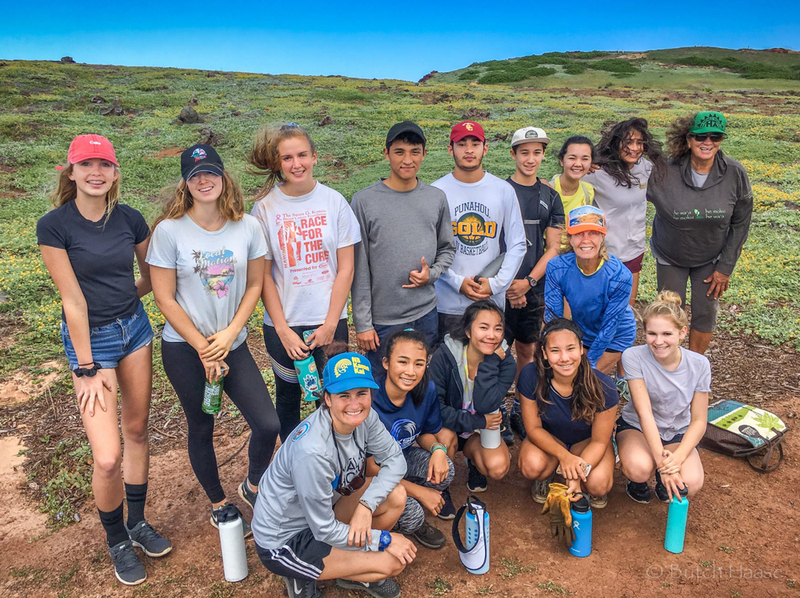 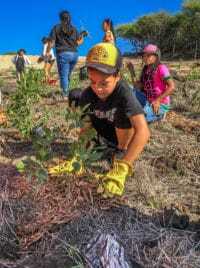 Interns and students participate in Federally designated critical habitat restoration work benefiting several Federally listed endangered plant species, rare pollinators, and ground nesting seabirds. 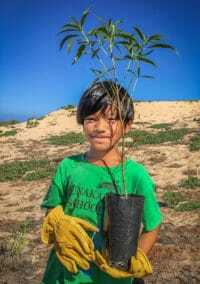 Primary work is located at the Anapuka Dune Restoration Project within the Moloka’i Land Trust Mokio Preserve. This is the largest coastal and dune restoration project of its kind in the State of Hawaii, extending along ¾ of a mile of shoreline. The site is also listed as one of five priority target areas in the main Hawaiian Islands in the current USFWS Coastal Program Strategic Plan, which also names Moloka’i Land Trust as a key partner with the USFWS Pacific Area Office. 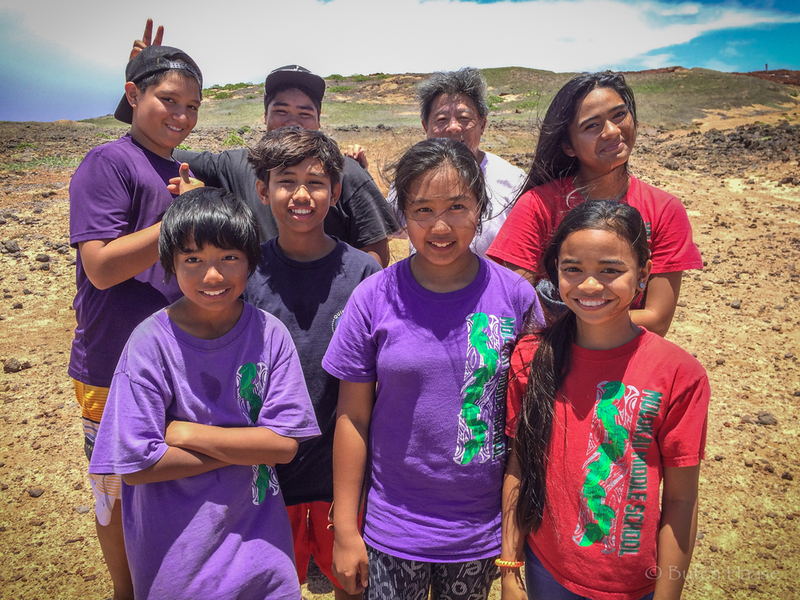 Interns also assist Moloka’i Land Trust staff with STEM and Hawaiian Immersion service-learning programs as part of the program.